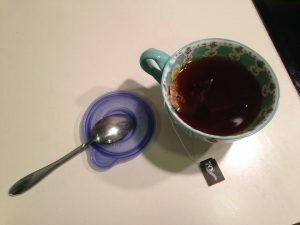 Need a place to put your coffee or tea spoon? Use a storage lid that has lost its container. No more sticky stains on the counter! Have a small pantry like me? 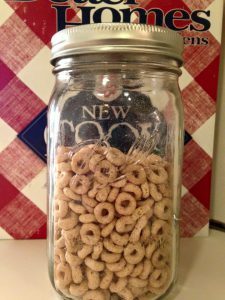 Use mason jars to store cereal and snacks. Save on space and it looks pretty too! 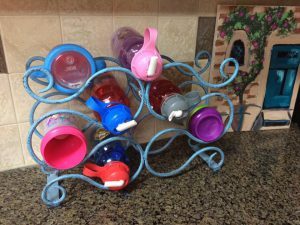 Saw this idea on Pinterest to use a wine rack for water bottles. I call this the toddler version.